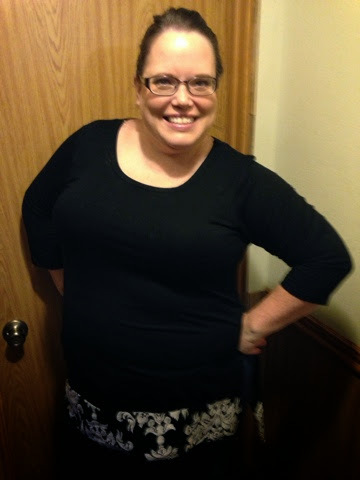 So, I was very excited to get this Karen Kane top from Gwynnie Bee this week. Everyone raves about Karen Kane, and I think this was my first item from that designed. Needless to say the Karen Kane Mix & Match Lace Hem Top is not for me. From the front it is actually not bad, and kind of cute. It is from the side when things get confusing. The back is FAR longer than the front. I looked this up, thinking it may be a mistake, but it is not. It is designed that way. Maybe if I was not so short? I just don't know, but it is super weird looking on me. The site calls it an asymmetrical hem. 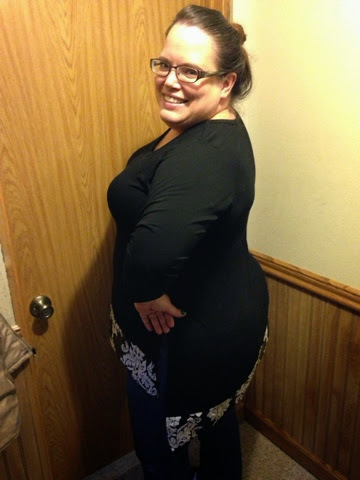 I am calling it a mullet to-- dress in the back, shirt in the front (would that be a reverse mullet then-- business in the back and party in the front). The top was super comfy, but no way would I wear it more than once. This post contains referral links. MamaBreak only recommend services and products we think our readers will love.